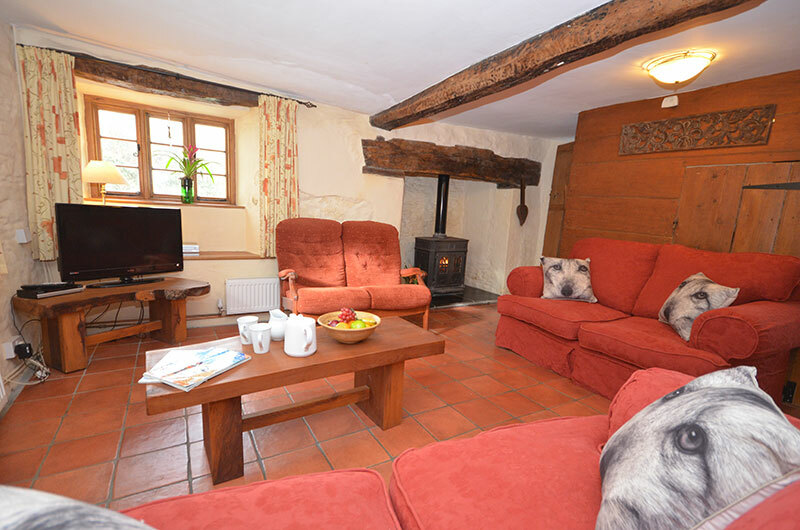 This cottage is part of the original medieval farmhouse and offers a wealth of character; you enter directly into the lounge with its welcoming woodburner and exposed beams. 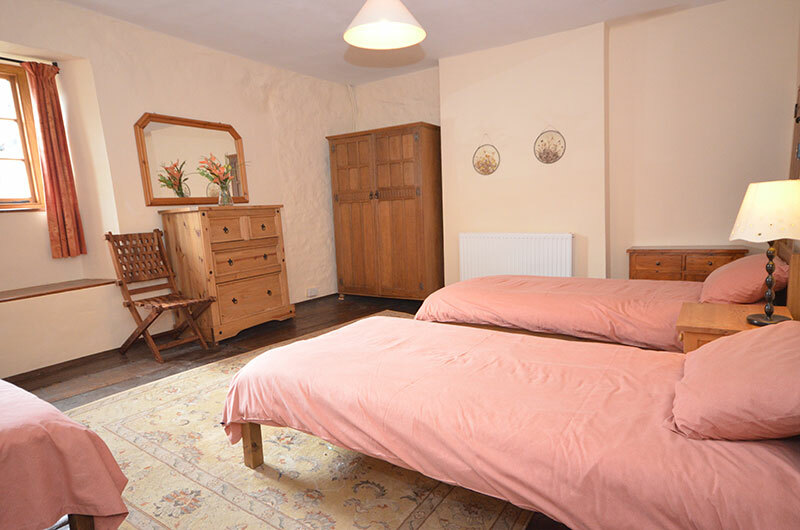 Upstairs has wooden floors whilst downstairs it is tiled. 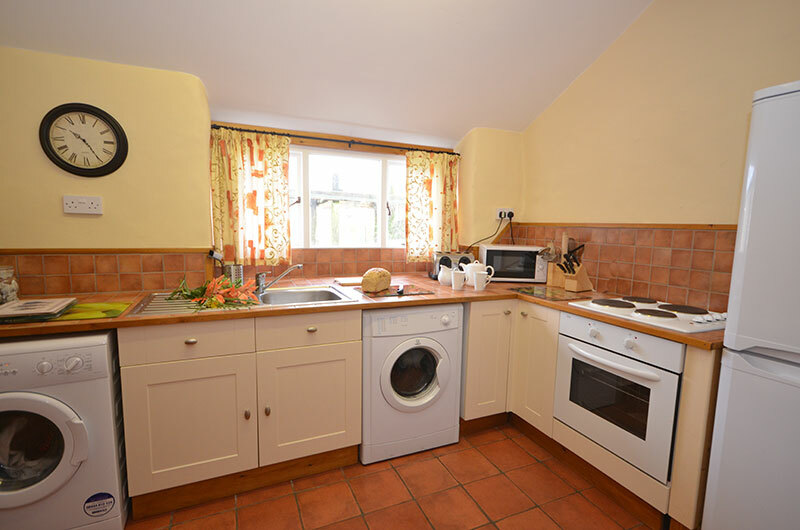 There is a separate kitchen and dining room. 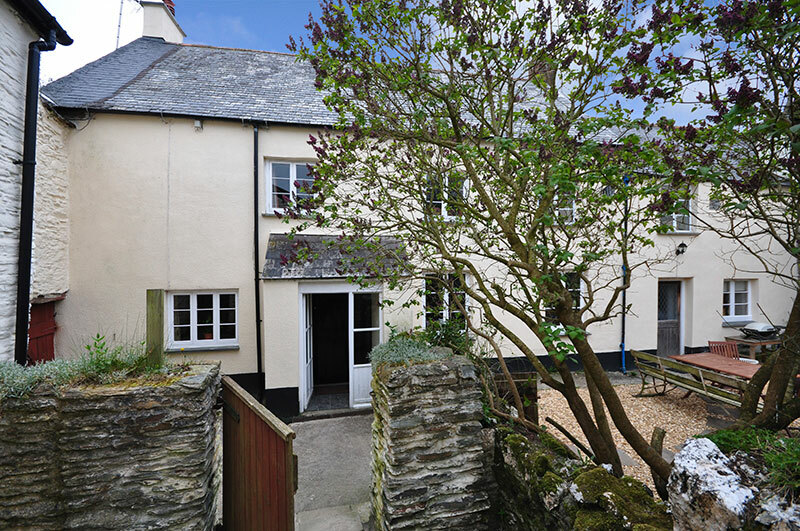 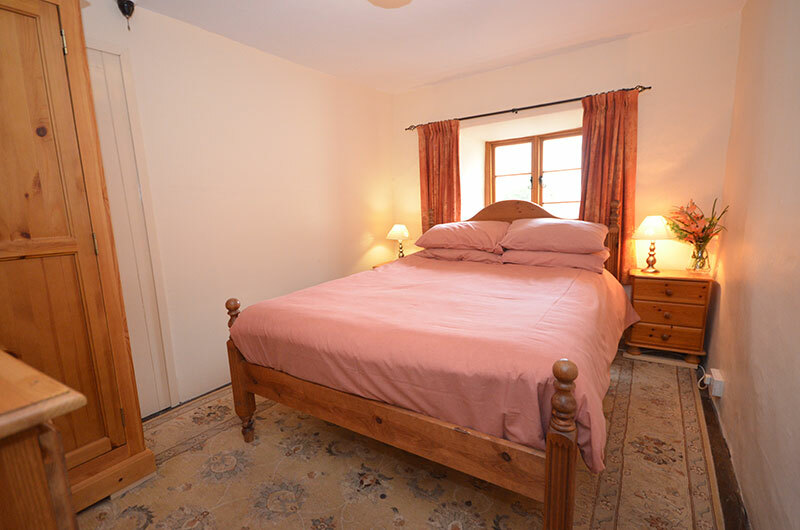 Accessed via cottage-style stairs are TWO bedrooms: 1 with 3 single beds and up a couple of steps is 1 double bedroom, the shower room with double shower cubicle and WC. 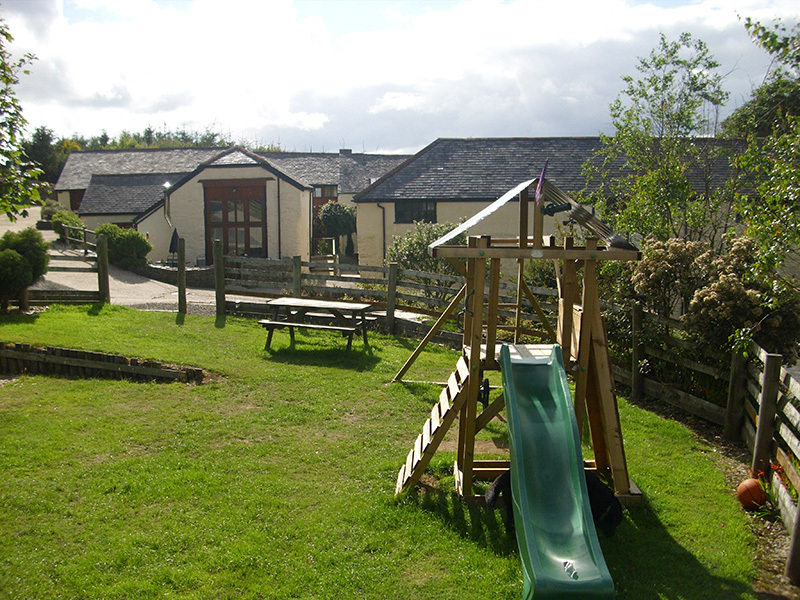 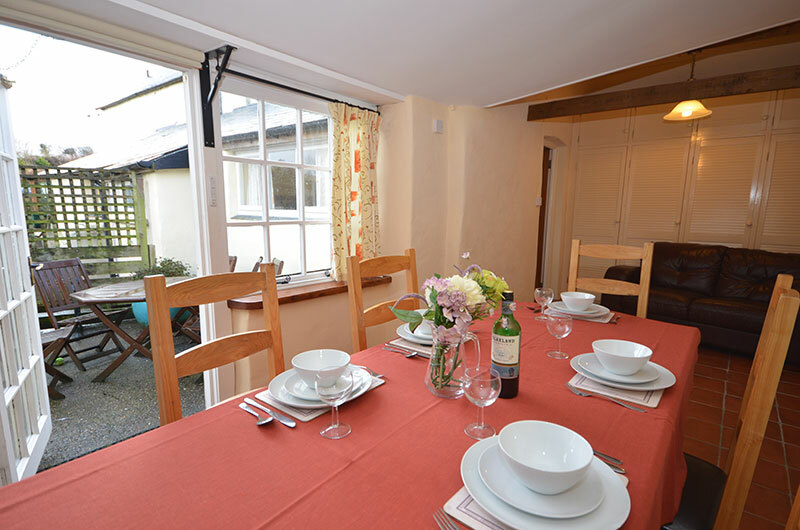 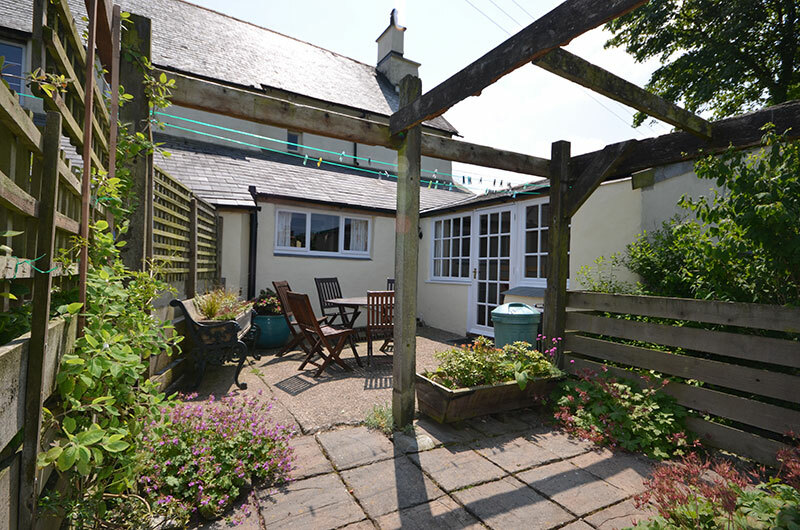 Guests can also relax outside on garden furniture in their own private patio with views of the Devon countryside.